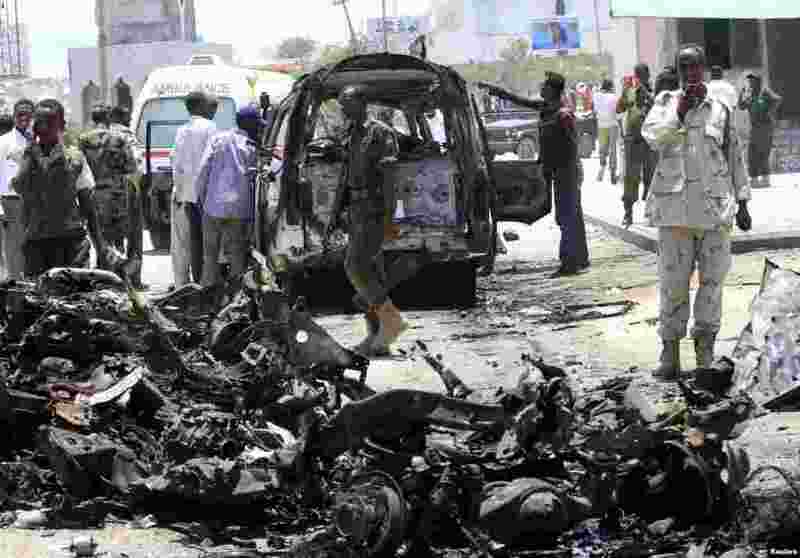 A car bomb has exploded in the center of Somalia's capital, killing at least eight people and setting nearby restaurants on fire. 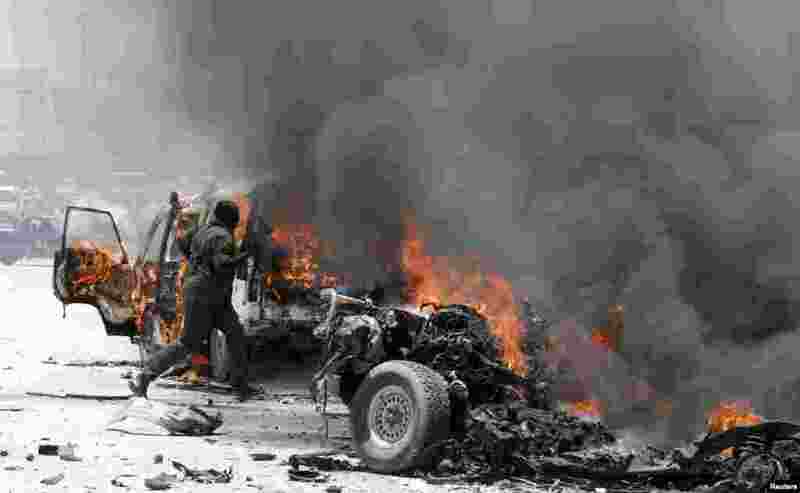 1 A policeman runs through burning vehicles at the scene of an explosion in Mogadishu, Somalia, March 18, 2013. 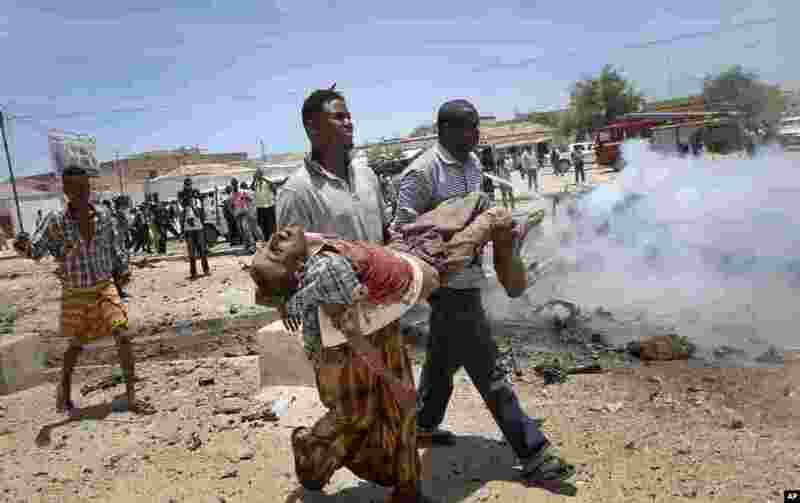 2 Men carry a seriously wounded man after an explosion in Mogadishu, Somalia, March 18, 2013. 3 A soldier uses his mobile phone to record the wreckage of vehicles at the scene of an explosion in Mogadishu, Somalia, March 18, 2013. 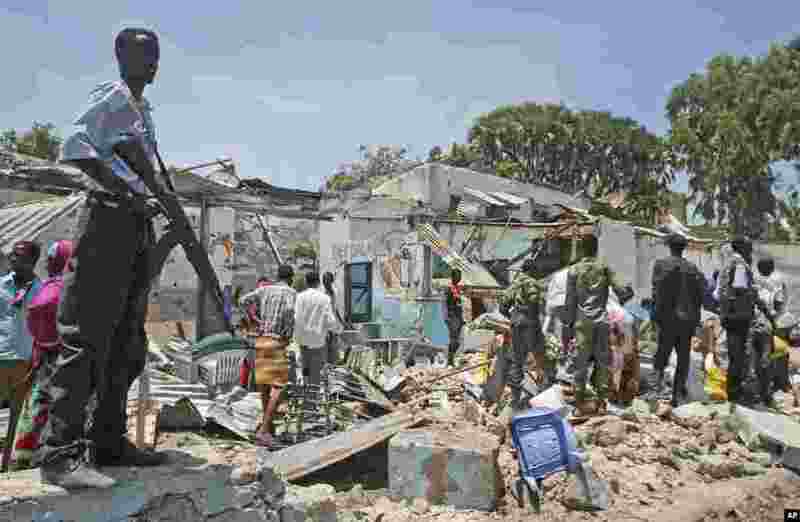 4 A soldier stands guard near destroyed shops after an explosion in Mogadishu, Somalia, March 18, 2013.